I, like everyone, am on the perpetual search for the ultimate mascara – and whilst I don’t think I’ll ever stop trying new ones, I do have a few that I think are particularly brilliant. CODE Volumising Lengthening Mascara (VLM) is one of them. It was made by two women who had tried everything on the market and found them all lacking in one element or another. CODE VLM is the result of their collaboration. Unlike some mascaras I’ve tried recently that contain a lot of fibres – or even a separate application of fibres (personally a disaster for me), this is a smooth, creamy consistency that doesn’t flake or smudge and almost as importantly to me as the performance, it washes off with ease. It’s also paraben free and they don’t test on animals. CODE VLM premieres on QVC this afternoon at 4pm during Alison Young’s show. 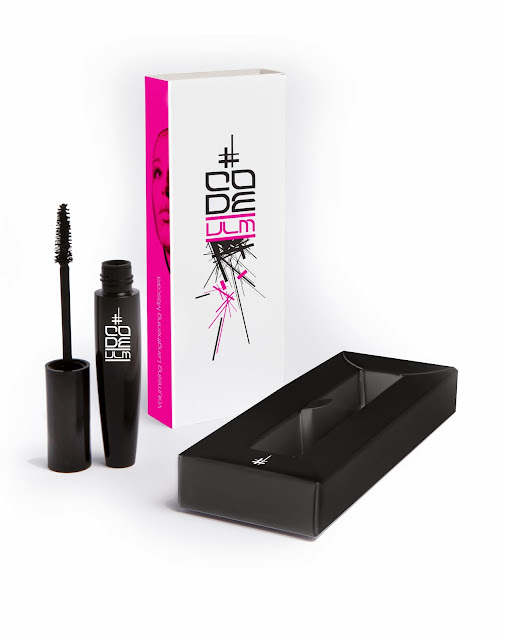 To celebrate CODE Beautiful have offered five mascaras to readers of this blog. Mighty generous from a small start-up. To enter, simply leave a comment below. Giveaway closes Saturday 30th November in the evening at 11.59pm. UK only. Five winners will be chosen at random. And good luck to Sarah on QVC!